Helene Cooper is 'Congo,' a descendant of two Liberian dynasties -- traced back to the first ship of freemen that set sail from New York in 1820 to found Monrovia. Helene grew up at Sugar Beach, a twenty-two room mansion by the sea in a childhood filled with servants, flashy cars, a villa in Spain, and a farmhouse up country. It was also an African childhood, filled with knock foot games and hot pepper soup, heartmen and neegee. When Helene was eight, the Coopers took in a foster child, a Bassa girl named Eunice. For years the Cooper daughters -- Helene, her sister Marlene, and Eunice -- blissfully enjoyed the trappings of wealth and advantage. But on April 12, 1980 a group of soldiers staged a coup d'etat, assassinating Liberian President William Tolbert and executing his cabinet. The Coopers and the entire Congo class were now the hunted, being imprisoned, shot, tortured, and raped. Helene, Marlene, and their mother fled Sugar Beach for America. They left Eunice behind. A world away, Helene tried to assimilate as an American and discovered her passion in journalism, eventually becoming a reporter for the Wall Street Journal and the New York Times. She reported from every part of the globe -- except Africa -- as Liberia descended into war-torn, third-world hell. In 2003, a near-death experience in Iraq convinced Helene that Liberia -- and Eunice -- could wait no longer. 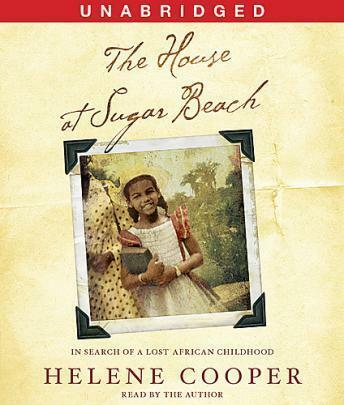 At once a deeply personal memoir and an examination of a violent and stratified country to which her own family is inextricably linked, The House At Sugar Beach is the story of Helene Cooper's long voyage home. Loved the narration as it made it all come alive for me. Great read, great story.